Budrus has a catchy tagline ready-made for cries of inspiration: “It takes a village to unite the most divided people on Earth.” The village is the picturesque Palestinian Budrus, and the most divided people on Earth are, you may have guessed, the Palestinians and the Israelis. The film opens with beautifully vast expanses of Budrus countryside with residents explaining the importance of the olive tree, which is essentially their lifeline. The locals characterize themselves as “the politest people on Earth” (not especially modest though), and they stress that conflict, which will prove to be nearly unavoidable, is one of the last things they want. The conflict, in this case, is the impending construction of Israel’s Separation Barrier, which is briefly explained in one of the film’s most effective bits. Created to theoretically protect Israel from Palestinian suicide bombers, the fence is, in itself, an offensive rather than defensive maneuver that seemingly arbitrarily confiscates Palestinian civilian land for its construction. A graph illustrates the fence route as it snakes in and around the Palestinian country, cutting villages off from needed routes and, in many cases, uprooting the crops that feed and employ nearly everyone. Ayed Morrar is the unlikely star—a community organizer who opens his first meeting with the haunting, “We can accept this as God’s will, as we always do, or we can consider this an injustice.” Morrar, an off-again-on-again fugitive for various other political movements (his history is somewhat vaguely defined here), decides early on that Budrus’s protest against the barrier must be peaceful, as that is the only way to fight a battle with a side—in this case the Border Control—that can out-gun you should you be foolish enough to justify such actions. This acknowledgment—that nonviolence was a political strategy like any other—moots potentially cheapening sentimentality. With the help of his 15-year-old daughter Iltezam, Morrar’s protest grows to include the once-considered-off-limits women, who man the frontlines against the Israeli bulldozers (mowing a woman over is bad PR that won’t, unless absolutely necessary, be risked). Budrus is most interesting when it explores the various motivations that drive seemingly spontaneous acts of rebellion, which eventually expand to include Israeli citizens as well as political crusaders from around the world. The footage of escalating tensions on both sides, which soon gives way to gunfire, has a queasy you-are-there intensity. Bacha, despite the clearness of her sympathies, is impartial enough to include interviews with members of the Border Control, who strike us, like many in questionable regimes, as pretty young people just doing a job. The star, Morrar, is a charismatic embodiment of working-class outrage. The parallel—of a terrorist prevention tactic run amok—is obvious. 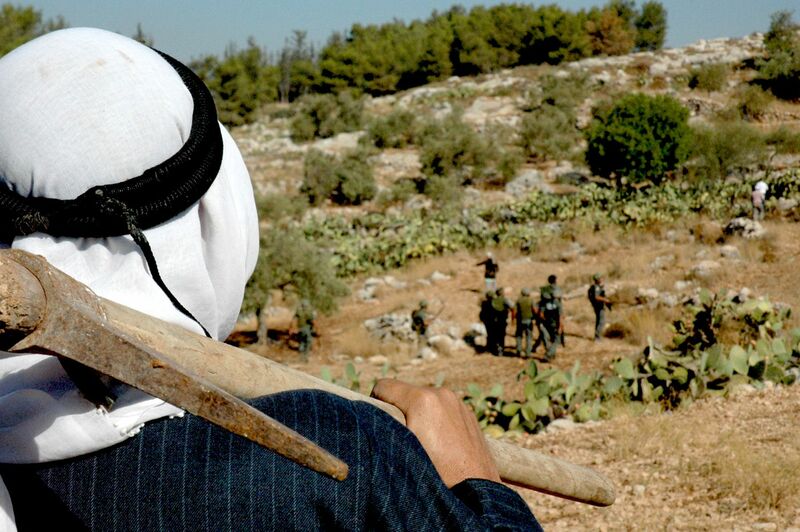 The ending—95 percent of the land is returned to Budrus and copycat protests spread throughout the Palestinian country—is inspiring. So why is the film still a somewhat underwhelming experience? The argument, as presented here anyway, is basically inarguable, which makes for somewhat static, redundant viewing. Bacha—understandably, cagily—relies too much on the footage of the violence when it is the backroom strategies that prove to be most illuminating. Budrus is passionately, more-than-competently made, but it’s a civics lesson that doesn’t quite shake you to your core.